2018 - The New Century Club - The club has made grants to local nonprofits since 2015 grant recipients include a broad spectrum of community service, arts and historical groups with preference to groups that feed or house the poor. Founded in 1893, the club's early projects included helping support a community library and the women’s college at UD. Members also donated to various women’s and children’s charities and supported World War II troops. 2017 - Networks School for Employability Skills - For years the Networks program has supported NAWC with its multi-faceted expertise. Networks prepares students to become productive members of a work force. This is accomplished by combining career technical education and employability skill training through the operation of 11 community-based enterprise areas. 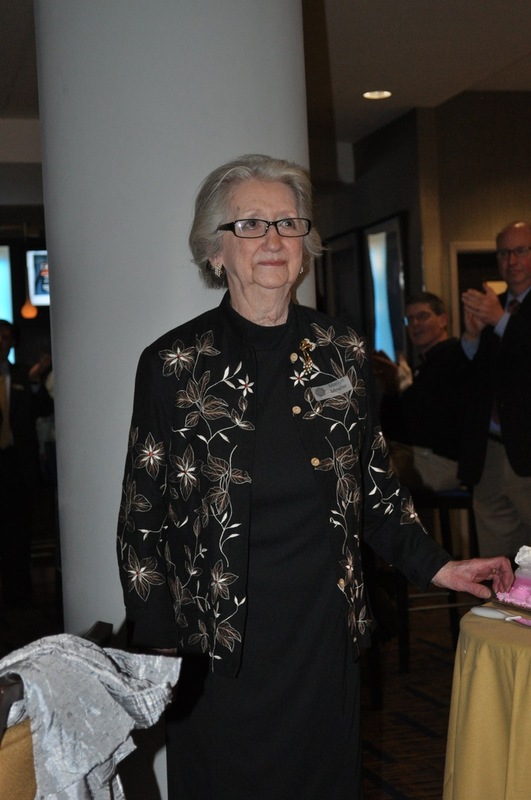 2016 - Marilyn Minster of Minster's Jewelers - Mrs. Minster and Minster Jewelers has been an advocate of NAWC for several decades, particularly through her support of our Food Cupboard Program and Bean Soup sales. 2015 - Newark Charitable and Social Club - This years recipient has supported NAWC for years through their annual auction. 2014 - Paul & Eileen Keely of King Medical Systems. - This recipient has been involved with NAWC for four years and their printing company graciously produces the organization’s promotional materials for free or at a discount. 2013 - Office Movers, Inc. - This recipient has donated 350-400 large moving boxes each December so that we may provide food to families in crisis in the Newark area. They have been our partner for many, many years. This enables us to give approx. 75 lbs. of food to each family. The donation of these boxes is a very important part of our Holiday Food Program. 2012 - Doris and Jack Billingsley, and Joan Collins - We recognize these Newark neighbors for their generous and continued support of our programs as we continue to provide services to those in our neighborhoods who need our services. 2011 - Delaware Freezer - This recipient provides storage for our turkey donations during our Holiday Food Box collection program and has assisted NAWC for many years. 2010 - Head of Christiana Presbyterian Church - This recipient organizes our yearly Triple Crown Trail Race to benefit four local organizations that help those in need in our area, including NAWC, and raises generous funds that are donated to NAWC. 2009 - First Presbyterian Church of Newark - This recipient allowed us use of their Memorial Hall facility and church staff assistance for our Holiday Food Box project each December. 2008 - Newark United Methodist Church - This recipient provided us space for our food cupboard as well as for all of our meetings. Mrs. Marilyn Minster of Minster's Jewelers, recipient of the 2016 NAWC Good Neighbor Award.